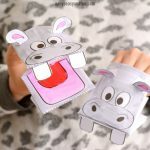 Want to create more fun agamographs? 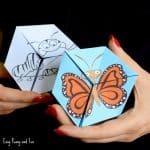 We’ve got a brand new Butterfly Life Cycle Agamograph Template to share with your kids and students. 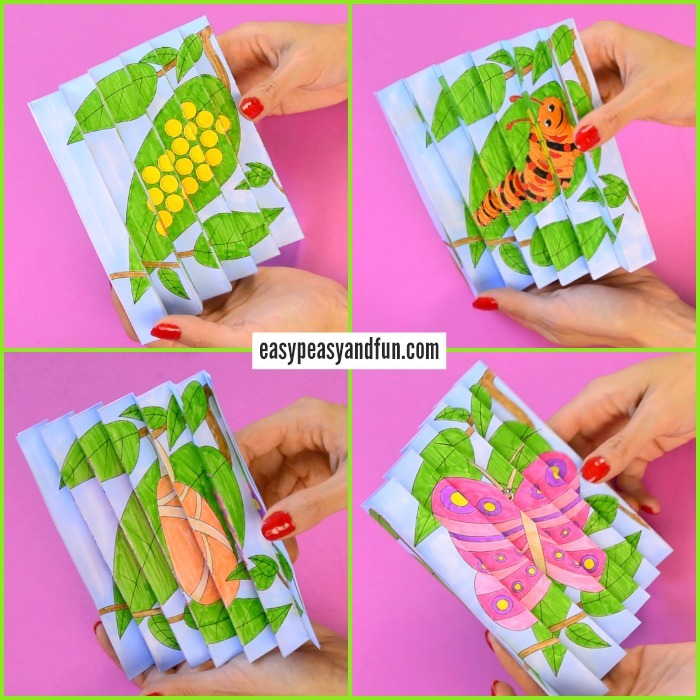 Get creative by coloring and folding the printable agamograph pages and learn about the life cycle of a butterfly simultaneously. 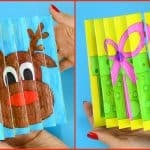 Making the agamographs surely is a pack of fun for kids and adults. 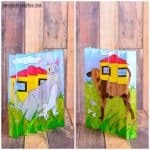 Kids need to color the two different images, that alter through the page in order to create the agamograph effect. In this pack, we’ve prepared a cool travel through the life cycle of a butterfly. 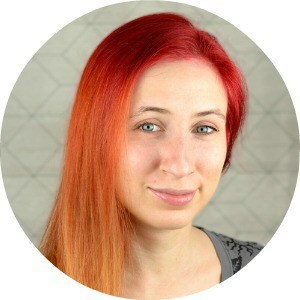 The printable design is made out of four different images. On the first page, there are the first two stages of an evolving butterfly – the eggs on one side and the caterpillar on the other. 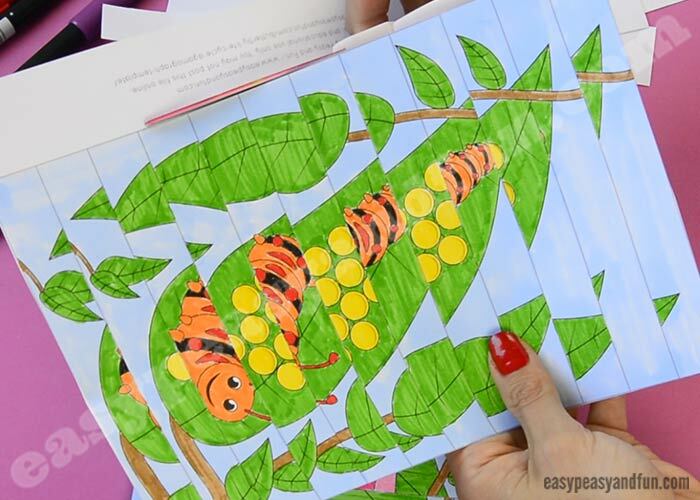 And on the second page, there is a pupa and an adult butterfly that needs coloring. 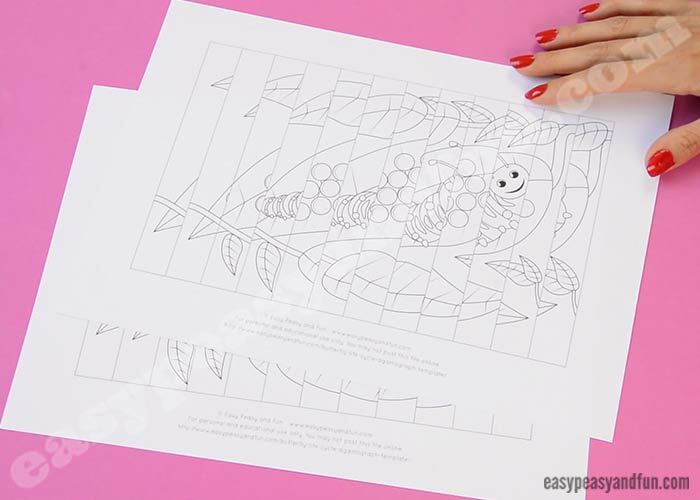 The beauty of this special agamograph design is, that you can glue both of them together (after you’re finished with coloring and folding) and get the whole cycle in one paper craft. 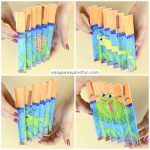 You can choose to color the alternating images (the original agamographs), or you can print out the second version, where kids need to color the whole images and then cut out the pieces of each one to create the lovely agamograph art. 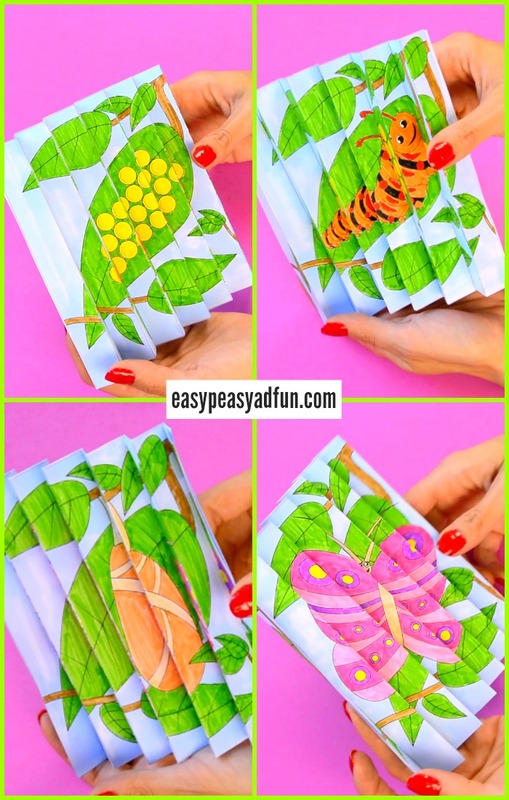 This printable butterfly life cycle design will help your kids to learn about the evolution of the beautiful insect and encourage them to make an agamograph of their own. Ready to make your agamograph? Let’s go! Let’s start by printing out the butterfly life cycle agamograph template (grab it at the end of this tutorial). 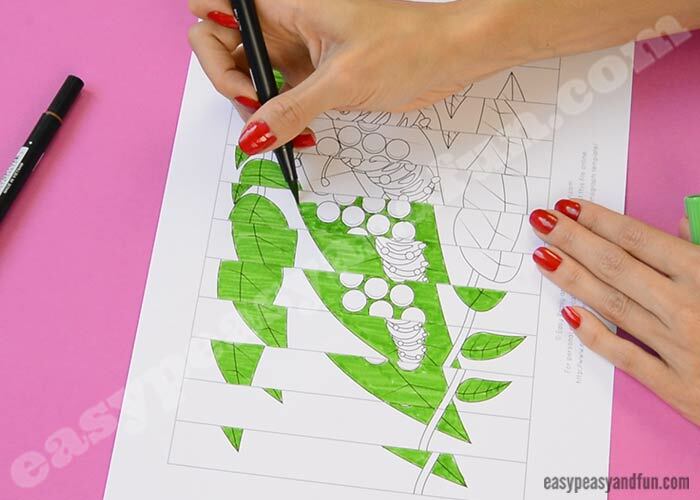 Color the agamograph template – we started by coloring all of the leaves first. After the image is colored, cut it out nicely. We need some scoring along the lines, so we used something at hand – a wooden stick with a sharpened tip at the end. You could also use a ruler or any sharper tool to create this effect. Now we need some good folds. 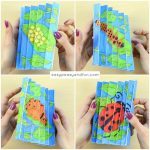 Use the accordion fold technique and press down each piece of the agamograph “puzzle” firmly. 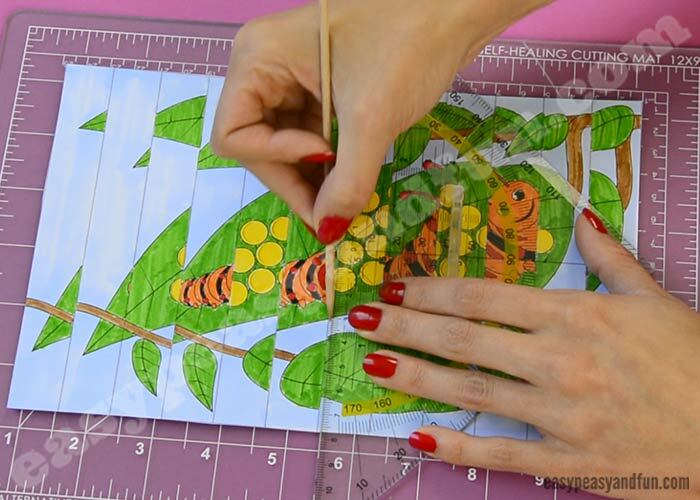 Repeat all of the steps above with the second part of the butterfly life cycle agamograph template. After both of the templates are colored and folded, it’s time to glue the artwork together. 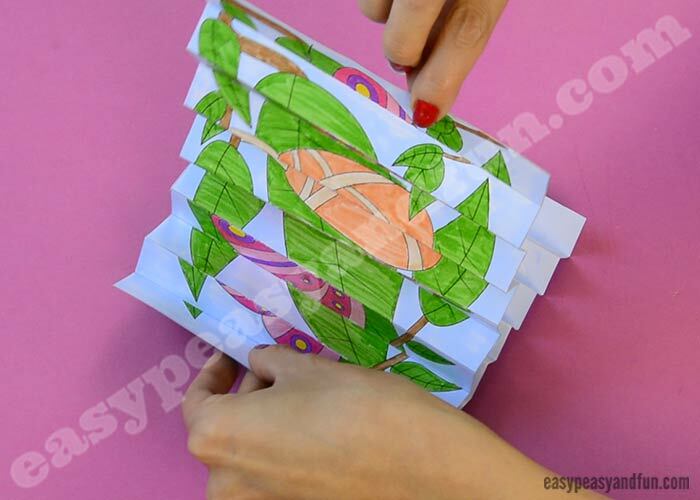 Put the second page of the folded agamograph onto the other one and press them firmly together. You cool butterfly life cycle agamograph is done and ready for display.